I enjoy photographing families at milestone events such as weddings. Here I was documenting the bride and her family, and I decided to focus just on her elderly grandfather for a few photos. 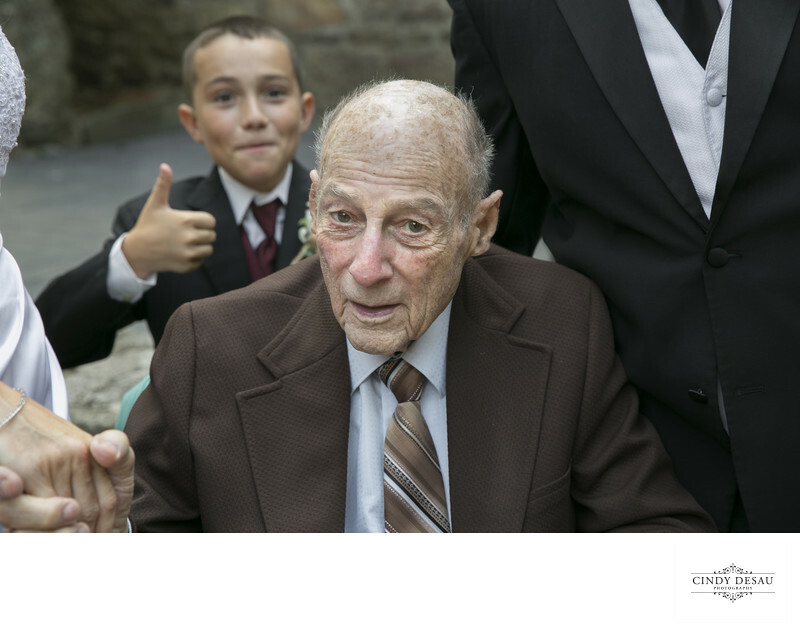 When I did so this charming and loving great grandson moved behind his grand grandfather to give the “thumbs up” without his knowledge. It made for a wonderfully candid and poignant moment, and I’m sure this bride and groom will forever treasure this photograph.